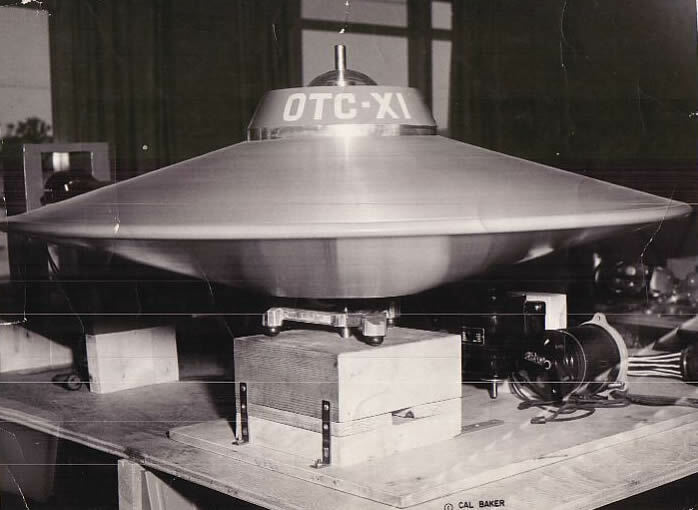 In 1955, Otis T. Carr, a protégé of Nikola Tesla began a highly visible public effort to develop a prototype civilian spacecraft that could be mass produced in kits and sold to the public. If successful, Carr would have developed the world’s first civilian spacecraft and would have revolutionized the aviation industry. The vehicle was to be powered by an electric generator drawing electrical energy from the environment, and would have produced an antigravity effect for propulsion. Carr claimed to have been taught all he knew about electromagnetic energy and antigravity principles by the famous Yugoslav inventor Nikola Tesla. He had resided in a New York hotel where Carr worked part time while completing his studies. "My flying machine will have neither wings nor propellers. You might see it on the ground, and you would never guess that it was a flying machine. Yet it will be able to move at will through the air in any direction with perfect safety." Tesla’s flying vehicle would be powered by electrical energy drawn from the earth’s atmosphere and stored in special coils. Frustrated by lack of industry support, Tesla revealed his radical ideas to the young Carr over a three year period. Tesla taught Carr how electromagnetic energy could be freely harnessed from the abundant electrical energy in the atmosphere. The possibility that electrical energy could be freely acquired without need for expensive power plants, conductive wires, relay stations, telephone poles and significant power loss, which challenged conventional power companies. Tesla was told that his radical ideas would not be funded since J.P. Morgan and other industrialists would not be able to meter the free electrical energy that could be easily drawn from the atmosphere. Indeed, Tesla’s ideas challenged the foundations of the global economy and monetary system. Inspired by the aging Tesla, Carr set about testing Tesla’s principles in 1937 when he began creating model spacecraft. Carr eventually became convinced that he could develop a civilian spacecraft that could travel into the upper atmosphere, to the moon and even achieve the speed of light. All this could be achieved by following Tesla’s advice of tapping into the electrical energy in the atmosphere to power the spacecraft, storing such energy in a special “regenerative coil” for interplanetary flights. Carr founded a company, OTC Enterprises, Inc, in 1955 in Maryland, and set about raising necessary funds and skilled personnel for building models. These could be tested to validate a full scale prototype. These models ranged in sizes and included a six foot version to be tested for proving the feasibility of his ideas for a planned 45 foot prototype spacecraft. In November 1959 Carr successfully patented his design for a full scale civilian spacecraft he called OTC-X1. It had a circular design that made it look like a flying saucer. In order to gain a patent for his design from a skeptical Patents Office, he claimed his OTC-X1 was an amusement device (click figure below). The Utrons would supply a series of counter rotating magnets the energy they required for overcoming the gravitational field of the Earth. [W]e have capacitor plates and electro-magnets as a part of this system. Now this is counter-rotating, the electro-magnets rotate in one direction and the accumulator, the batteries rotate in another. The capacitor plates rotate in conjunction with the battery so that we have a clockwise and counter clockwise rotation. Now the third system is the cabin that maintains the crew. This does not rotate, it is fixed due to the fact the two bodies are rotating clockwise and counter clockwise. Therefore the system causes the craft to escape from the gravity pull. The craft itself due to this system still has internal gravity because it still has the same weight that it had in the beginning. Carr’s design would create an entirely new gravitational field inside the craft. This would effectively create a zero mass environment inside his craft that would mean normal laws of inertia would not operate. This zero mass environment would enable the spacecraft to achieve light speed velocity. It would also enable occupants to withstand tremendous accelerations and changes in directions without being pulverized by immense g-forces inside the craft. Otis T. Carr, president of OTC Enterprises, Inc., detailed his claims in an interview and demonstration of a crude model of a circular motion machine which he said is the principle of a "free energy circular foil" space craft he can build, if someone puts up the money. He said the machine can be adapted to devices of any size to produce continuous power absolutely free of dissipation. Its immediate application, Carr said, would be in a space craft - which would be able to fly among the planets in controlled flight. Carr scheduled a test for his six foot model in April 1959 for an audience of approximately 400 people in Oklahoma City. Technical difficulties and a sudden illness contracted by Carr led to the test being cancelled. The serious field of UFO's and flying saucer research received a setback at Oklahoma City in late April when a highly publicized launching attempt by O.T.C. Enterprises of Baltimore, Md., resulted in failure. Hundreds of persons had been invited to Oklahoma City by Otis T. Carr to watch him "launch a six-foot prototype model of the O.T.C. X-1, a space craft which works on 'utron' energy." Those who were there came away disappointed. The flying saucer did not fly. All that was shown to the public were three dimensional illustrations of his design. Carr was nowhere to be found. Long John Nebel, a famous New York radio host, located Carr at the nearby Mercy hospital where he had been admitted for eight days due to a lung hemorrhage. Mysteriously, Carr had become ill on the eve of what should have been a major publicity coup for him. Carr’s spacecraft project was becoming increasingly shrouded in mystery and controversy. One Oklahoma City television reporter expressed the general feeling of the townspeople, "This thing will never leave the ground. And I feel that a great deal of the ballyhoo they're giving out is tied in with the ride at Frontier City. I have tried constantly to get in to see the saucer model, but they've kept it hidden." With growing hostile public opinion in Oklahoma, Carr decided to move his center of operations to Apple Valley, California in late 1959. To prevent any further public debacles, he decided not to announce any test flights in advance. With new financial backing and a large production plant, Osbrink, at his disposal, Carr proceeded with his plans to develop and test his spacecraft. Major Wayne Aho, a former Army Combat Intelligence Officer during World War II, and Carr’s chief pilot, proclaimed that he would "fly to the moon in a flying saucer on December 7, 1959." Little was subsequently heard of Carr’s efforts and plans to test his full scale 45 foot prototype. No public reports exist of any subsequent tests. In raising revenue for his spacecraft program, Carr was experiencing increasing problems with the U.S. Securities and Exchange Commission that had placed an injunction against Carr, ordering him to cease selling unregistered stock”. "treacherous misstatement of fact to say or infer that we [OTC Enterprises] are coming to California to raise money in stock sales." In January, 1961 the Attorney General of New York, Louis J. Lefkowitz, claimed Carr had swindled $50,000. He was charged with "the crime of selling securities without registering the same." Carr was sentenced to a 14 year prison term. At the same time, True Magazine labeled Carr a hoaxer, thereby effectively ending any remaining public sympathy for him. After serving part of his term, Carr was released from prison, and disappeared from the public arena. Suffering ill health and cut off from supporters, he lived in obscurity. He died in Gardnerville, Nevada, in 2005. Apparently, the bold development of a civilian spacecraft industry had ignominiously failed. Its pioneer, a protégé of the great Nikola Tesla, was publicly disgraced as a felon having apparently hoaxed members of the general public with his wild tales of building civilian spacecraft while actually promoting an amusement park ride. The true history of what happened with Carr and his effort to develop a civilian spacecraft industry would remain secret for almost another 50 years. It is only the public emergence of one of Carr’s trusted technicians that the truth would finally be told of what had really happened with the world’s first civilian spacecraft effort. In March 2006, a largely unknown individual came forward to reveal that he was one of three pilots of a successful test of Carr’s full scale prototype of the OTC-XI. Ralph Ring claims to be a technician who was recruited into Carr’s team attempting to build a 45 foot prototype spacecraft after Carr had relocated in California in 1959. Ring at the time was a talented inventor who had grown frustrated with corporate sector disinterest in innovative principles concerning electromagnetic energy. He had earlier helped the famous French oceanographer Jacques Cousteau develop the aqualung, and later worked at a government-funded research organization called Advanced Kinetics. In a series of public interviews and presentations, Ring described the conditions of leaving Advanced Kinetics. He claims to have resolved two complex engineering problems involving electromagnetism. Confident of a job promotion, Ring was instead told by the director that they were government funded corporation and “we’re paid to look for the answers, but not to find them!” In frustration, Ring left and met with Carr in late 1959, and was quickly impressed with his ideas, including a plan to build a civilian spacecraft. He was an unquestioned genius. Tesla had recognized his quality immediately and had taught him everything he knew. He was inspired, and - like Tesla - seemed to know exactly what to do to get something to work. He was a private man and was also very metaphysical in his thinking. I think the fact that he was not formally trained in physics helped him. He was not constrained by any preconceived ideas. As crazy as it sounds now, he was determined to fly to the moon and really believed it could be done. I believed it. We all did. Ring directly participated in the testing of smaller models of the OTC-XI craft developed by Carr. Most importantly, Ring claims that the 45 foot OTC-XI prototype developed by Carr was completed and successfully tested back in 1959. Ring says he was one of three pilots on the craft which flew 10 miles instantaneously. Ring described how Carr had been able to maintain communications with the three man team piloting the OTC-X1 who were instructed to complete a series of tasks, before returning to the launch site. Fly is not the right word. It traversed distance. It seemed to take no time. I was with two other engineers when we piloted the 45' craft about ten miles. I thought it hadn't moved - I thought it had failed. I was completely astonished when we realized that we had returned with samples of rocks and plants from our destination. It was a dramatic success. It was more like a kind of teleportation. The most remarkable part of Ring’s testimony concerns the unique navigation system used by the pilots to control the movements of the OTC-XI. According to Ring, this navigation system used the conscious intent of the pilots rather than conventional technology. The Utron was the key to it all. Carr said it accumulated energy because of its shape, and focused it, and also responded to our conscious intentions. When we operated the machine, we didn't work any controls. We went into a kind of meditative state and all three of us focused our intentions on the effect we wanted to achieve. It sounds ridiculous, I know. Success of the first test of the full scale OTC-XI meant that planning for flights into outer space and to the moon was now proceeding in earnest. Ring said Carr and his crew worked round the clock to complete the testing program before announcing the results to the general public. The most dramatic part of Ring’s testimony concerns what happened two weeks after the successful test of the OTC-X1. He said that Carr's operation was closed down by the FBI and other government agencies in a secret raid involving seven or eight truckloads of armed government personnel. Indeed, Carr’s successful testing of a civilian spacecraft, had it been allowed to go ahead, would have revolutionized the energy sector and the aerospace industry. The conventional energy industry using fossil fuels to generate electric power and the aviation industry would have become redundant overnight. Large U.S. corporate interests in the energy sector would have lost their substantial investments. Lack of corporate profits would throw countless thousands out of work. The financial effect of a civilian spacecraft industry using electrical energy from the atmosphere for power would indeed have placed enormous pressure on the U.S. monetary system possibly causing its collapse. In a series of interviews and public presentations, Ring claims FBI agents confiscated all the equipment including the OTC-XI prototype. They debriefed all of Carr’s employees, warned them to remain silent on what had happened, and made Carr sign non-disclosure agreements. 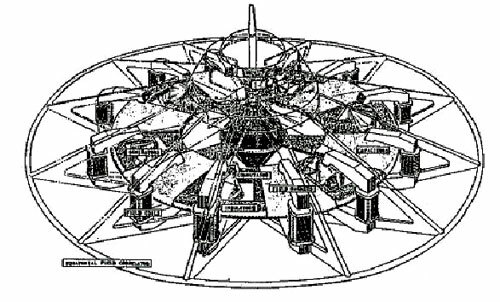 Ring’s testimony, if true, reveals what really happened with Otis Carr’s radical civilian spacecraft project. Rather than Carr being a fraud who deceived a number of investors funding his radical civilian spacecraft ideas, Carr had been successful. His success so threatened entrenched interests in the energy sector, that his operation was shut down with the full approval and knowledge of a select number of government agencies concerned with the financial impact on the U.S. monetary system. Carr himself was forced to endure trumped up charges designed to discredit him, and end his bold effort to develop a civilian spacecraft industry. How Credible is Ralph Ring’s Testimony? How much evidence exists to substantiate Ring’s testimony? Ring is a very likable and sincere individual who has impressed audiences with his genuineness and frankness. Bill Ryan and Kerry Cassidy, founders of Project Camelot, a website featuring video interviews of whistleblowers, were the first to interview Ring in March 2006. This is something I can personally verify since I was able to hear Ring present his ideas at the International UFO Congress in 2007 and was able to speak personally with him. I concur with Ryan and Cassidy that Ring’s personal qualities make him very credible. He appears to be motivated by a simple desire to tell the truth about events that happened almost 50 years ago that could have revolutionized life on the planet. Ring has provided a number of photographs of the OTC-XI developed by Carr. These photographs had previously not been published. The photos showed that Carr had indeed succeeded in building a number of models including the 45 foot prototype spacecraft (see photo below). The photos dispel the view that Carr had not succeeded in developing a full scale prototype spacecraft. Ring’s photos are material evidence that he did indeed collaborate with Carr on the OTC-X1, as he claims. Perhaps most significant is what occurred to Ring soon after coming forward to reveal his experiences with Otis Carr in March 2006. In his presentation at the 2007 International UFO Congress, Ring described how he had been taken by ambulance to a hospital 25 miles away, bypassing a hospital adjacent to where he was staying. Ring hovered perilously close to death as a result of the ‘mistreatment’ and the long ambulance ride. Was the “accidental” application of another patient’s medication, and the “bypassing” of nearer hospitals part of a covert attempt on Ring’s life? 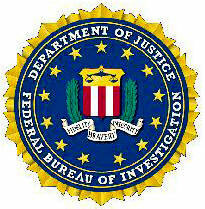 The circumstances are certainly suspicious and do indicate an effort to silence Ring. This series of “accidental” events that almost took Ring’s life soon after his public emergence provides circumstantial evidence in support of his claims. We can now draw together the different elements concerning Otis Carr’s OTC-XI project and Ralph Ring’s testimony. Carr’s successful development of a fully operational civilian spacecraft using radical electromagnetic propulsion and navigation systems led to a brutal response by federal government agencies. Agencies led by the FBI raided Carr’s construction facilities, confiscated equipment, intimidated employees into silence, and publicly discredited Carr through trumped up charges orchestrated from the U.S. Stock and Securities Commission. 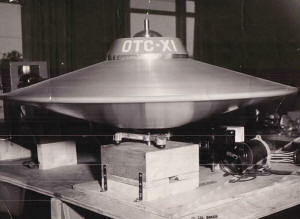 Ring’s public testimony and photographic evidence he provided of the existence of Carr’s OTC-X1, give confidence that elements inside the U.S. Government suppressed a wholly civilian owned spacecraft industry. Several motives for this suppression appear. The first and principal motive for the government suppression was to protect U.S. industrial interests in the energy sector that would have been threatened by knowledge of how to draw free electrical energy from the atmosphere. U.S. corporations dominate the energy sector around the planet, and the appearance of “free energy” technologies would wreak havoc on their stock value. This would impact negatively on the entire U.S. economy. A second and related motive for this suppression is the impact of “free energy” technologies on the U.S. monetary system - the explanation given by FBI agents for raiding Carr’s plant. The development of free energy technologies would make redundant the conventional energy sector owned by U.S. corporations possibly leading to a collapse of the U.S. dollar. A third possible motive is preventing the development of a civilian spacecraft industry that could travel into outer space and other planets with minimal or no government regulation. Such a civilian spacecraft industry could easily travel to nearby planets to confirm whether intelligent life forms have ever resided or continue to reside on the moon, Mars and elsewhere in our solar system. There is evidence that intelligent extraterrestrial life has been discovered on the moon and other planets but this is being suppressed by major governments. Many analyses of NASA photographs of the Moon and Mars reveal artificial structures and anomalous phenomenon under intelligent control. Despite widespread public interest in these, NASA refuses to seriously investigate such evidence and many have concluded a cover up is underway. A fourth motive to suppress Carr’s OTC-XI project was to keep secret technology already being developed in classified projects. Carr’s work was not deemed important enough to be classified so that he and his technicians could continue to work on developing his ideas of a spacecraft that could travel to the moon at light speed. His project was shut down, Carr discredited and his technicians intimidated into silence. There is an obvious explanation for this response by involved government authorities. The reason for the treatment given to Carr and his technicians was that government authorities had no need for Carr’s ideas on how to develop a spacecraft capable of light speed, and which could tap into free electrical energy available in the Earth’s atmosphere. Responsible government authorities would also have no need for the unique navigation system developed by Carr for his OTC-XI that used a mind-technology interface between the pilots and the spacecraft. This was not because government authorities were not interested in these ideas. More likely, these authorities already had a classified project for an antigravity craft capable of near light speed and powered by electrical energy drawn from the natural environment. The principles for ‘light speed’ space flight were likely so well known that the efforts of civilian inventors were simply not needed in classified antigravity projects. The conclusion is that in the 1950’s, the U.S. government already had a number of operational spacecraft that were capable of attaining near light speed, and could draw electrical energy from the Earth’s atmosphere that could be stored for space travel. A final possible motive for the closing down of Carr’s spacecraft program is that an exclusive group of quasi-governmental or “shadow government” authorities with strong ties to corporations did not want to alert regular military and/or government authorities of the existence of such advanced technology. Dr Steven Greer describes an interview he and former Apollo Astronaut Edgar Mitchell had with Vice Admiral Tom Wilson in 1997 when Wilson was J-2, head of the Intelligence division of the Joint Chiefs of Staff. 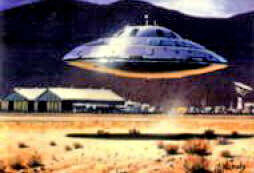 When advised of certain Special Access programs involving possible extraterrestrial technology, Wilson was denied access to these since he did not have a “need to know”. Such unprecedented action, restricting a sitting head of intelligence of the Joint Chiefs of Staff, demonstrates that a group of “shadow government” authorities keeps advanced technologies away from regular military and governmental authorities. Shutting down Carr’s civilian spacecraft program would deny regular military and governmental authorities knowledge and access to such advanced technology. This would place the regular military at great disadvantage in monitoring what is occurring in deep black projects involving advanced technology controlled by shadowy government agencies outside of the regular chain of command. Carr’s mysterious illness prior to his public testing of his six foot model in 1959, and the near death of Ralph Ring in 2006 after his coming forward to reveal his testimony, suggest covert government operations to prevent public demonstration and knowledge of advanced technologies. Covert government agencies have been historically observed to be targeting inventors and researchers working on advanced technologies. Discrediting, silencing or terminating inventors and/or whistleblowers appears to continue. In 1959/1960, Otis Carr and his team had succeeded in developing the world’s first civilian spacecraft. This notable achievement was brutally suppressed, and Carr was incarcerated on trumped up charges in 1961. The collusion of some elements of the U.S. government in suppressing the emergence of a civilian spacecraft industry emerges as a key historical fact. U.S. corporations in the energy sector, aware of Carr’s ambitious program, were likely a key factor in this suppression. The implications of Ring’s testimony and Carr’s achievements are momentous for humanity. Rather than a felon who hoaxed the general public with radical ideas of civilian spacecraft, Carr was a heroic inventor who succeeded, against tremendous odds in building the world’s first civilian spacecraft. Carr and his team of collaborators need to be acknowledged and honored for their pioneering efforts. Congressional inquiries should be immediately launched to fully investigate what happened to Carr. The FBI and other government agencies involved in raiding Carr’s facilities and confiscating equipment should reveal what occurred. The precise role of U.S. corporations complicit in these repressive actions also need to be thoroughly investigated. Appropriate legislation needs to be developed to prevent future instances of pioneering inventors being targeted by government agencies acting at the behest of vested interest groups. The technological revolution that will emerge with a thorough investigation of Carr’s accomplishments must be embraced rather than hidden from the general public. Shadowy governmental agencies and corporations responsible for suppressing the public emergence of such technology, even to the extent of denying it to regular military forces, need to be revealed and made accountable. Humanity is on the threshold on a remarkable achievement, the development of an inexpensive civilian spacecraft industry that can achieve travel to planets in our solar system and the stars. Vested financial interests and quasi-governmental groups hoarding such technology, can no longer be allowed to hold back this remarkable achievement. W. E. Du Soir, “The Saucer that didn't Fly,” FATE magazine, (August 1959) p. 32. Cited online at: http//www.keelynet.com/gravity/carr3.htm.